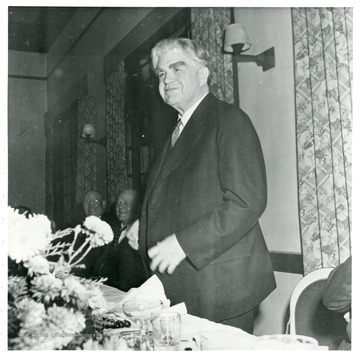 John L. Lewis at a dinner during a Consolidation Coal Co. 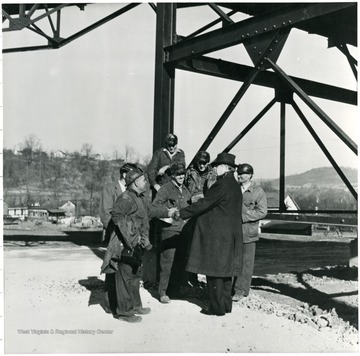 Inspection Trip. 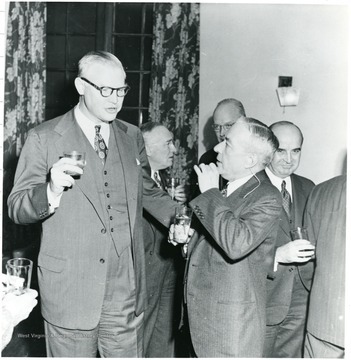 Two coal officials with drinks talking. 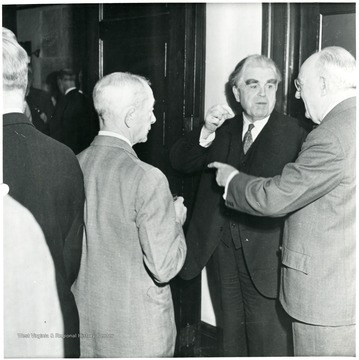 Two men talking with John Lewis. 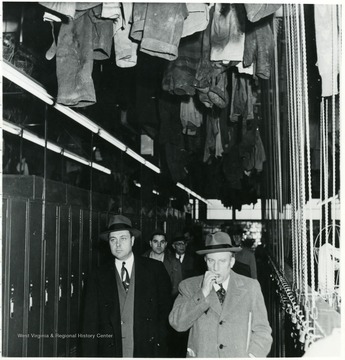 Men walking through locker room during a Consolidation Coal Co. Inspection trip. 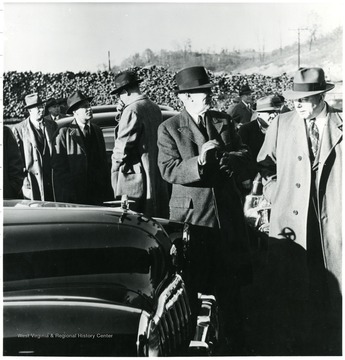 Coal officials outside by their cars. 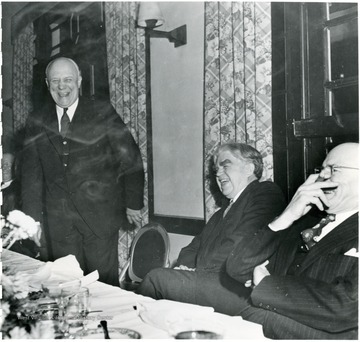 Two coal officials laughing with John L. Lewis during a Consolidation Coal Co. Inspection trip. 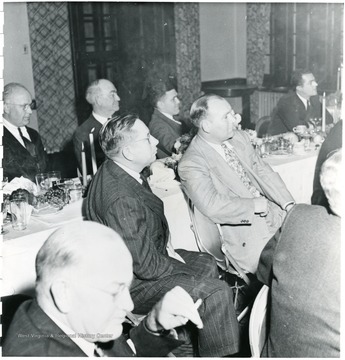 Coal officials listening to speech at dinner during a Consolidation Coal Co. Inspection trip. 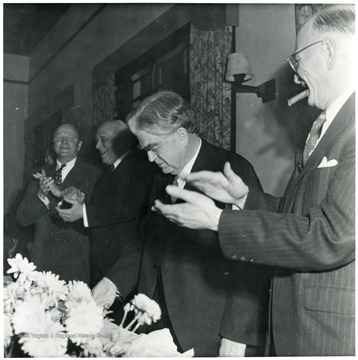 Coal officials around John Lewis clapping during a Consolidation Coal Co. Inspection trip. 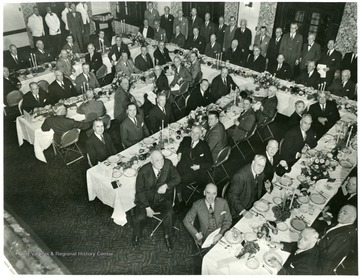 Lewis is seated at the table on the right. 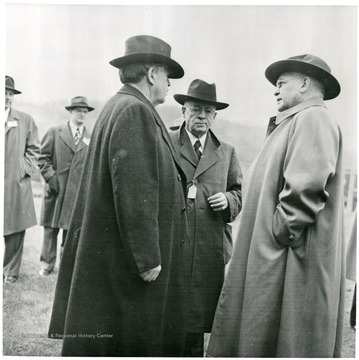 Three coal officials talking outside. 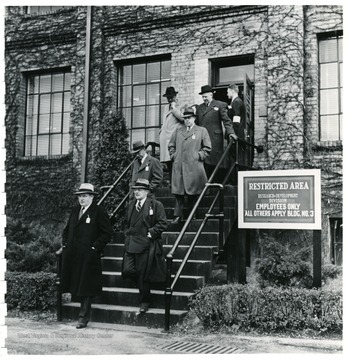 Coal officials leaving a restricted building of research and development during a Consolidation Coal Co. Inspection trip.